Their first product ever to hit store shelves, they named this healing balm All Good Goop when they realized how amazing it is for everything! Its organic skincare formula mixes essential oils with medicinal plants to make it strong enough for a climber's raw knuckles and gentle enough for a baby's bottom. Plus, this healing balm is great for: cuts, scrapes, abrasions, minor burns, sunburn, insect bites, stings, dry and irritated skin, chapped lips, diaper rash, blisters, cracked or calloused hands, scars... and much more. First of all, it smells amazing! Secondly, I love it already. I've only been using it for a few days but it works! I have psoriasis on my elbows and this stuff soothes the itching and keeps it moisturized! I also put it on my feet before bed! I love this stuff! It’s not as greasy like others. Works on dry/cracked hands and even baby butts! I have a rough time in the winter with cracked, dry finger tips and hands and this works so well that it gives immediate relief. I am a chef and mother of two small, grimy boys, and this is the ONLY thing I have ever tried that actually works on soothing my waterlogged and cracked hands. It works to prevent razor burn, on chapped noses, as chapstick, on cuticle repair, really anything. I have tried dozens of other organic balms and creams from many different suppliers and friends, and hands down this is the best for me. As an added bonus, the texture is really smooth and absorbs well (not crazy greasy), and the smell is extremely soothing and delightful! Does this stuff come in gallon size? I work in the baby room of a child care center so I wash my hands eleventy-billion times a day. This goop has done what 4 different store bought lotions and 2 different natural/homemade remedies could not. This saved my poor, dry, cracked, itchy hands! I’ve had it for 2 weeks and already I can see it will be a staple in every first aid kit, overnight bag, purse and school bag we have in the house. While this is a bit oily feeling at first it soaks in so fast and leaves just naturally soft hands. If I had one criticism/suggestion it would be to make a variety without the lavender. I would love to use this under raw noses and the lavender would be overpowering in that use. I also have a teenager who is sensitive to some scents and I would love a softer scent for her to use. I have super dry skin and eczema. This stuff is great to moisturize my rough patches. I use it for lip balm at night, cuticle cream, on a raw nose that has been blown one too many times, even at the corner of my eyes that get sore from allergies. I have serious chemical sensitivities and this never makes my skin unhappy. Recently I had tape pulled off of my neck at the hospital. It pulled off two quarter size patches of skin with it. I have kept them moisturized with this. They are both almost healed up in a two week time frame. I don't see scarring. LOVE this stuff! My husband is constantly knicking his hands at work and I always tell him to put the goop on. It's been a wonderful balm that we use on pretty much any skin ailment. I recommend this product to everyone I meet! I absolutely love this stuff. I have used it for healing the pads on my dogs feet. She has sensitive feet which get dry and cracked very easily in the summer and this works great to keep them in great shape. It is also great to take the itch out of bug bites, heal sunburn and minor scrapes and scratches. It is a great all around product to keep on hand. We keep a jar of it in the RV as well as in the house. I got this in my mighty fix. I so far I like it. Ive used it on an healing tattoo and a burn with no issues. So glad you are enjoying your Fix! It is a wonderful multi-purpose balm. Nothing was working on my son's rash. Not anything. I was on the verge of making a doc appt. I decided to give All Good Goop a try and it not only helped alleviate the itching and redness on my three year old it helps him to fall asleep to a relaxing back rub. The smell is very pleasant and could be best described as a lavender and other herb scent. His rash faded away and it is smoothing out his skin. I felt safe using it on my son after reading the ingredients. I also have dry skin on my hands that typical lotions just burn and this is very soothing. I make my own treat all cream but I got this in the subscription. It smells so good and feels so nice on the skin. I put it on my 5 year olds eczema and it helped her keep from itching. We use it mostly for a diaper cream. It clears up bad diaper rash overnight. Any time she has even a slightly red bum I put it on her. Then she smells so wonderful afterwards. I just ordered some more because we are getting low on it. I am very happy with this product! I got this as a Mighty Fix, liked the ingredient list, but wondered what I would do with it. It sat in the cabinet for a couple months until I had a mild burn that was getting itchy. All Good Goop to the rescue! A while later I ran out of my favorite eyelid cream. All Good Goop to the rescue! I now use All Good Goop for all minor skin irritations and I’m so pleased. I got this in my subscription package one month. Since then we've used it on small burns and it took the pain away amazingly fast, as well as healed the burns quickly. We've used it on cuts, insect bites, "hotspots" on the dog, and my husband is currently using it on a pretty deep scrape that, since he had ignored it, had started looking puffy and ugly. Now, after 2 days of Goop, it looks much better, not puffy, and he says it feels much better, too. We love Goop. Amazing stuff! 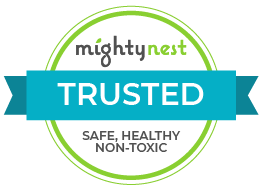 I have used it for literally everything head to toe and for my baby's diaper rash(diaper rash gone overnight!). It so far has been the only thing to completely moisturize my heels and my lips %100. I received this as part of the MightyFix monthly subscription and it couldn't have come at a better time! I am currently experiencing daily hives due to unknown allergies. As soon as I opened my package and saw what it was, I couldn't try it fast enough. Although it doesn't actually make the hives go away, it rids the redness and itchiness. I don't use products on my skin as a general rule, as most products are too heavy and greasy feeling for me. This balm is very light and moisturizing. Anything left on my hands after applying to my itchy areas I just rub in like lotion. My hands are amazingly soft as a result of this. I love this stuff! I ordered this balm in January when I got real with myself and stopped using Aquaphor for my dry, cracked winter hands. I only use it at night because it is too thick and greasy for any kind of daytime application (same with Aquaphor so it's a non-issue for me). Although it has helped soothe random itchy spots on my sensitive skin, I don't think it heals nearly quite as rapidly as Aquaphor. BUT- you can't beat the ingredients, cruelty-free status, or the company (certified B Corp!). Also, I LOVE the smell!! I just wish that we got more product for the price; there is no way I could afford to use this every evening as I'd prefer. Not my favorite hand salve. Leaves my hands feeling oily for quite a while after it's use. I wanted to like this, but it's too greasy and oily, smell is very strong and rather off putting and its not something I want to use at all. I usually love my Mighty Fix but this was a huge miss for me this month. Also it's on sale for a dollar more than the subscription currently so I don't feel like I really got a good value this time either. Thank you for your review! This product is a salve or balm, which does tend to have an oily consistency. It can be used for a multitude of purposes, and is especially great for minor cuts, burns, chapped lips, dry skin etc. If you are finding that this product is not for you, please reach out to customer service via phone or email, and they would be happy to suggest alternatives for you.